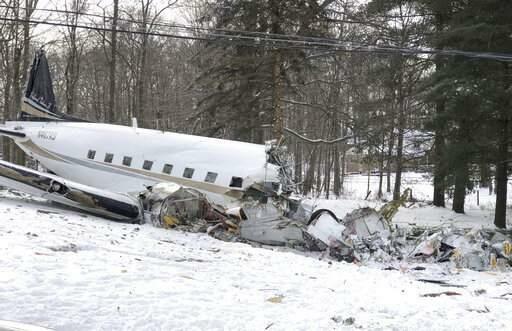 WASHINGTON, Jan. 22 (Xinhua) -- A DC-3 plane crashed in Ohio on Monday morning shortly after take-off, killing the only two people aboard, media reported. No one on the ground was injured in the crash in Wayne County, about 96 km south of Cleveland, and engine issues may be the cause, ABC Cleveland affiliate reported, citing the Ohio State Highway Patrol. According to the Federal Aviation Administration, the plane was manufactured in 1942 and the crash is still under investigation. The Douglas DC-3 plane first flew in 1935 and is one of the most popular propeller-driven aircraft. Thousands of the planes are still in service around the world.